&#65279;A wonderful fairy forest. Early morning. In the foreground the river along the banks of which are old pine trees. Dark thick thickets make their way through tree trunks. 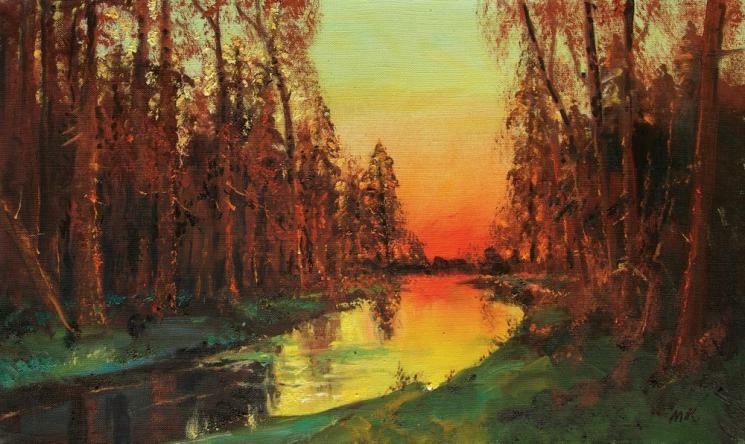 A bright red-yellow dawn in the background of the picture illuminates the entire forest. Bright saturated colors are attracting attention.